The last few months I was busy getting as many things done as I could for the holiday sale at Glory Days a few weeks ago. All of them are white, or shades of white. 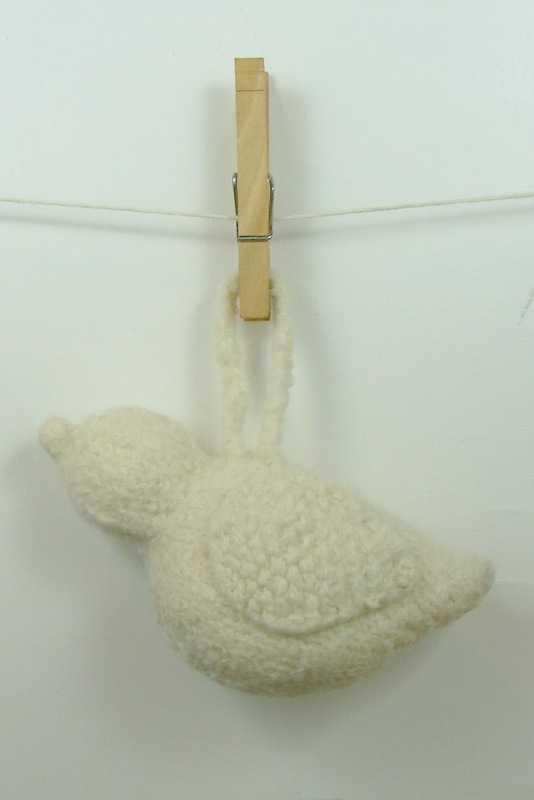 I had already finished loads of owls, so I didn't make any more of those. 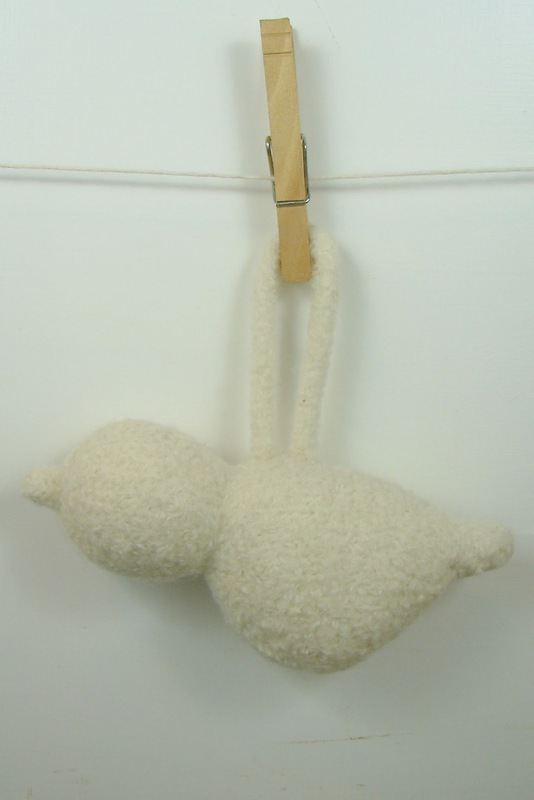 The next item I focused on was some felted dove ornaments. 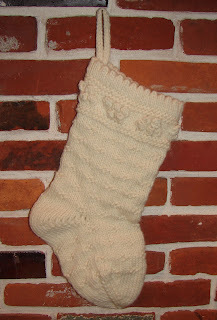 It took me a while to figure out the pattern for these ones, mostly because I had to felt them before I knew whether or not they looked the way I wanted them to. Here are all of the dove attempts, the first on the far left and the final on the far right. Dove attempt #1: I stuffed the dove before felting, and it didn't felt as much as it would have otherwise. A little too fat and short in addition to not being stuffed tightly. Also the wings flap around sort of awkwardly. Dove attempt #2: I over compensated a bit and made it too long and skinny. I sewed down the wings on this one, which I liked the look of, but it still wasn't quite right. 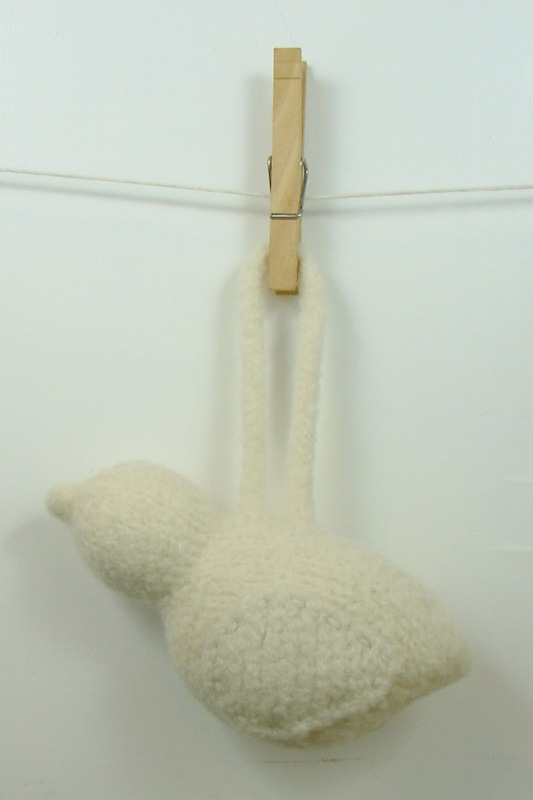 Dove attempt #3: The shape is closer to what I was looking for, though the head is a bit big for the body. 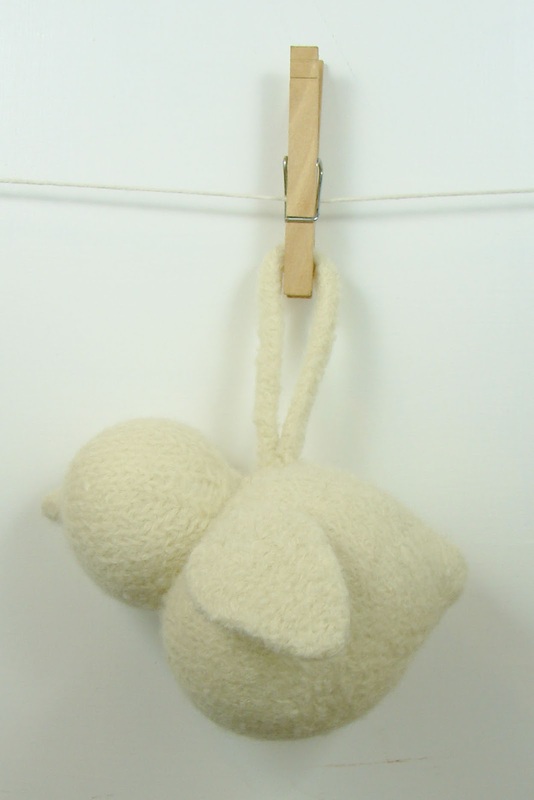 I didn't even sew wings on this one because I wasn't happy with the body. Dove attempt #4: I liked the way this one turned out. Head and body are in proportion and the wings look good. I was looking for the tail to turn up a bit, so there's one more version, but I like this one too. Dove attempt #5: Finally! I ended up with the dove that I had intended to make! I made several of this version. 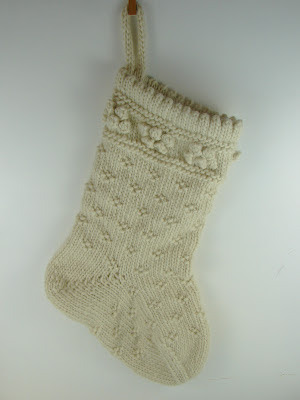 The next big item on my to do list was Christmas stockings. Using a picture of a vintage pattern I saw on etsy, I designed my own. 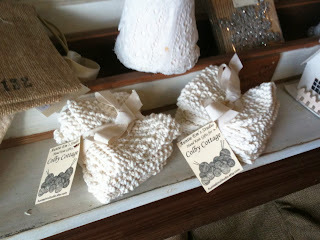 I made several for Glory Days as well as posting one in my etsy shop. 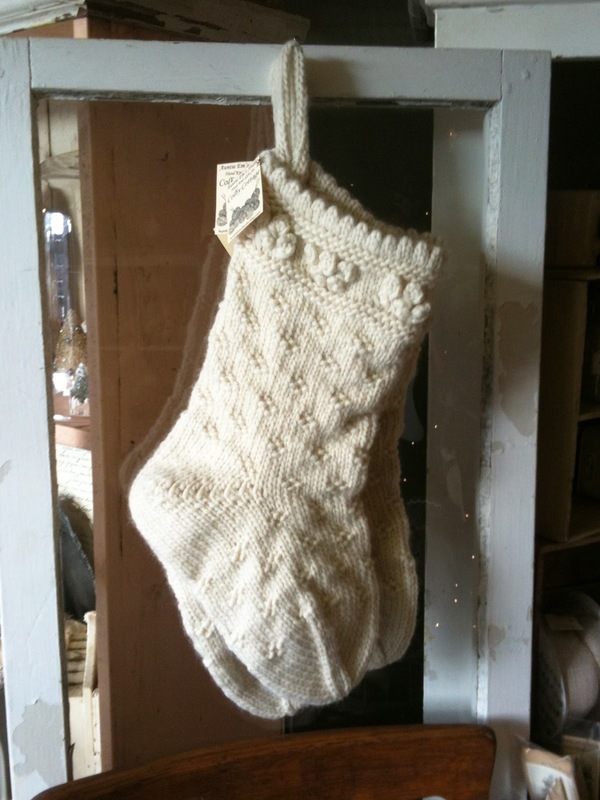 The stocking looks nice hanging on a brick mantle. 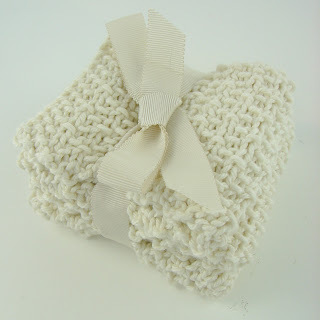 I also made a few sets of washcloths and tied them up with a ribbon. 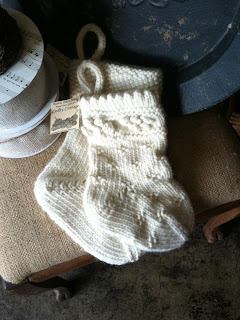 They are also a shade of white to go with the theme. 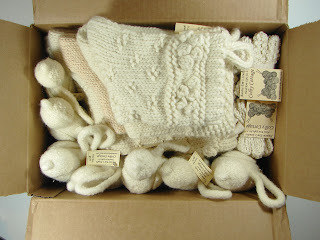 All the white holiday items boxed an ready to go. 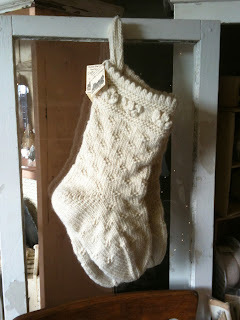 I did one mini version of the stocking as well as some more basic stockings, both shown here on display at Glory Days. 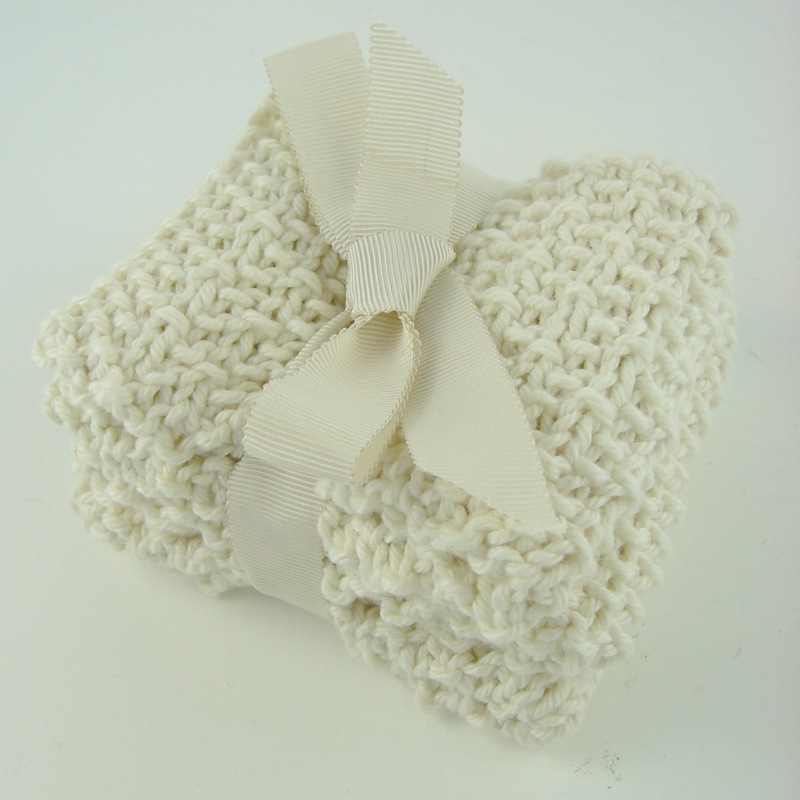 Washcloths looking nice all bundled up. Now onto knitting Christmas gifts for family members. Less than a month left! I can't believe it! I am a knitter who designs and writes knitting patterns. 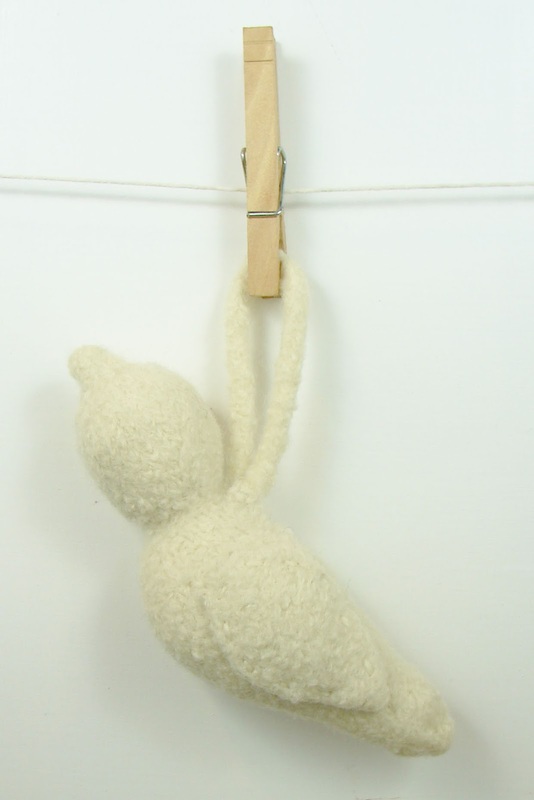 Most of my designs are toys and other items for children, but I can (and do) make anything. 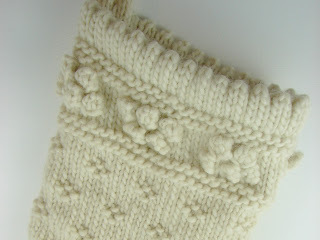 This blog is mostly about my knitting and designing. I'm a very creative person and have been known to write, paint, draw, etc, which may sneak in to a post here or there.